In a move certain to drive still more people from SoCal to Austin, Kiplinger's named Austin the 5th smartest place to live in the US. That's not so unbelievable. What IS unbelievable is their second choice, Minneapolis-St. Paul, MINNESOTA. They're ahead of us? We don't turn to a block of ice for 8 months of the year and STILL they're ahead? August isn't THAT bad! They left out, between Chuy's and Shady Grove, Baby Acapulco because the only thing good about it are the drinks. too many more this sedate and I'll begin to think I can start handling more than my usual pitcher of bloody mary's. 65% of dragon shirt wearers have ponytails. 67% have been to an anime convention. 67% reported experiencing true happiness for the first time at an anime convention. 26% believe that they actually are a dragon on the inside. 12% own motorcycles and are over 50. 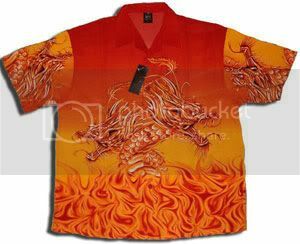 87% of people that own a dragon shirt own another dragon shirt. 100% of dragon shirt wearers are lame.